(Bloomberg) -- South Africa is not alone among emerging markets in its need for overseas financing. Still, the persistent deficit on its current account largely reflects the high returns on foreign investment in its domestic bond market and the poor level of repatriation on overseas investments, according to analysis by Bloomberg Economics. 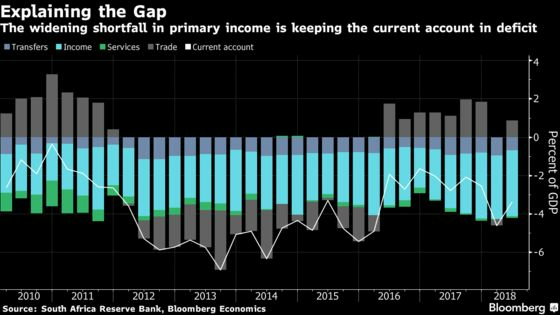 South Africa will have to generate a larger trade surplus to cover the primary income payments, but such an adjustment has been made more difficult by a decline in gold and platinum prices, and mining output.